2 stacks with Mickey ears!!! Welcome to our Exotic mailboxes page!!! 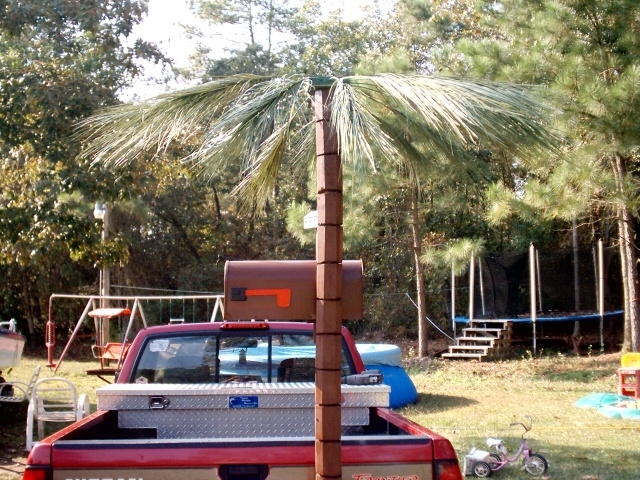 Many surprises here including a Dragon mailbox, Cruise ship, Palm tree mailbox, and even a Cigarette boat mailbox!! 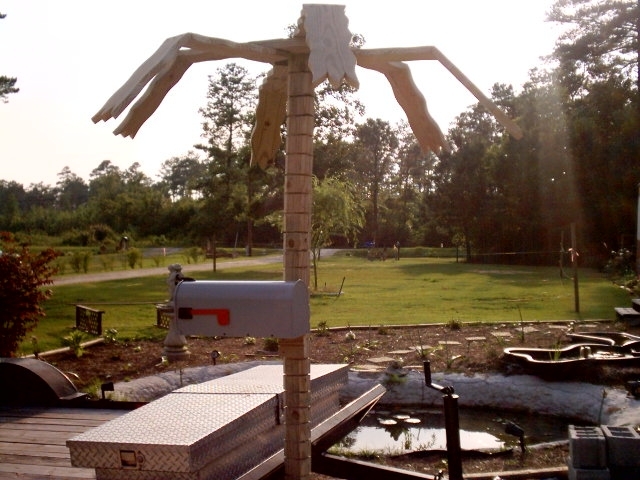 With all our mailboxes you are certain to be the talk of the town or if you don't put it by the road then they are just pieces of art that can be displayed anywhere!!! 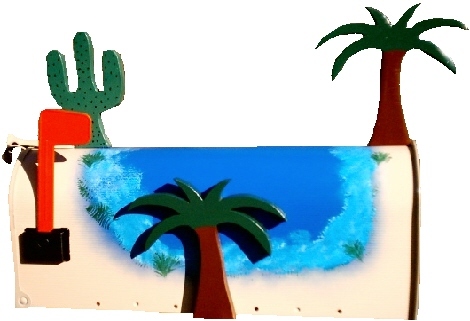 Pool, Flower beds or even just a home decoration. 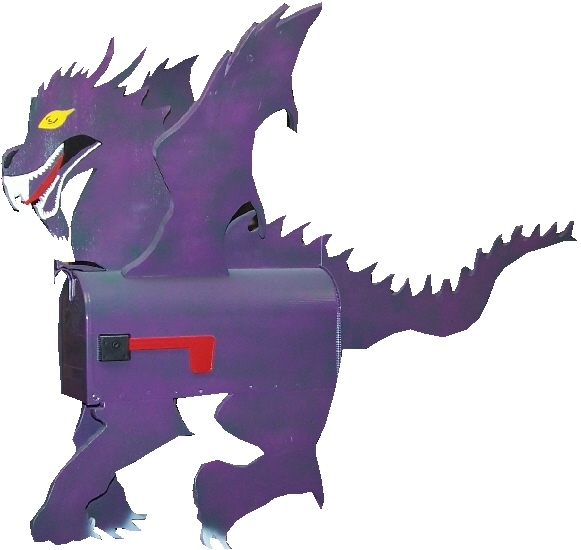 Our Mythical mailboxes are the most versatile mailboxes in the business. Get yours now!! 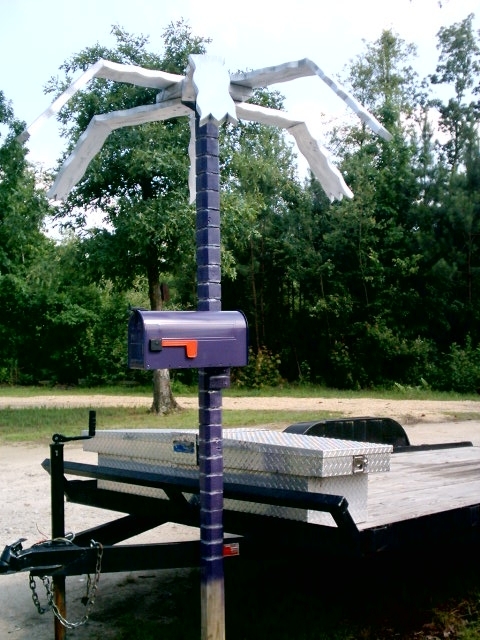 Or even get wilder and customize your own Mystical mailbox. Hey not in for the 3D mailboxes? 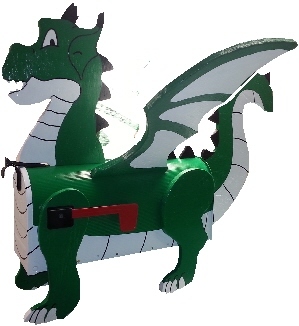 Well then click here and be directed to our plain painted mailboxes and choose or design your own mailbox. Shipping included on all Caribbean mailboxes anywhere in USA except Hawaii or Alaska. Email for quotes if outside the States or lower 48.